We have recently had plenty of positive publicity for our campaign to save the bus station. Five other heritage organisations also signed our letter to The Times, calling on the Council to re-think their demolition plans; and we have also taken part in numerous local and national radio interviews, including Radio 4’s PM programme and BBC Radio Lancashire. The bus station featured in a two page photo-spread in the Guardian, and we were also interviewed for The Times, Daily Telegraph, Lancashire Evening Post, Architects Journal and Building Design. Hopes of saving the bus station rose slightly last year when a comprehensive redevelopment scheme for the site was abandoned, but recently Preston City Council declared that they no longer had the resources to maintain the building. English Heritage has supported two previous listing applications, only to have them rejected by the Minister concerned. 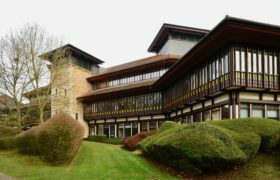 In view of the threat of imminent demolition a new listing application has been submitted to English Heritage on behalf of the society. Rigorously researched by our former Senior Conservation Adviser Christina Malathouni (now teaching at Liverpool University), we hope that the City Council will reconsider their position and support listing. 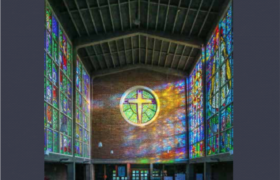 An imaginative refurbishment or re-use scheme could still secure the future of this architectural masterpiece. 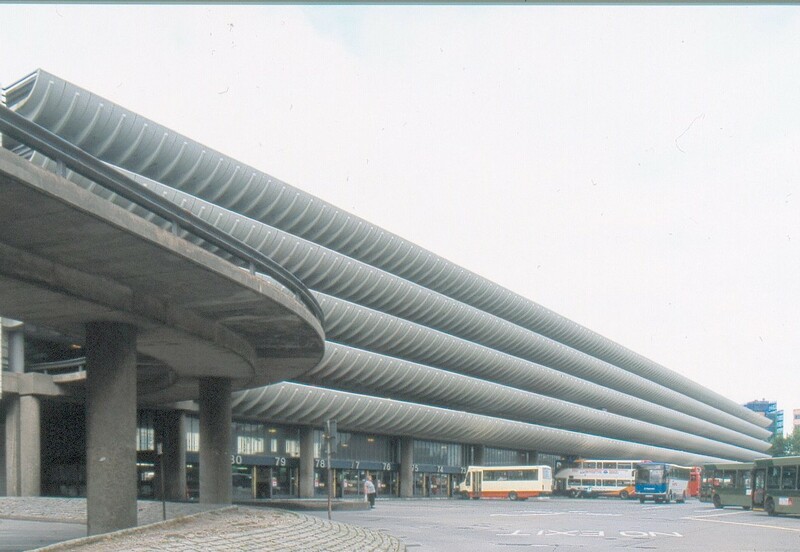 Members will recall that we successfully nominated Preston Bus Station for the 2012 World Monuments Fund Watch List, along with the South Bank Centre and Birmingham Central Library.